Copper Mountain comes to life for Christmas and New Year’s. 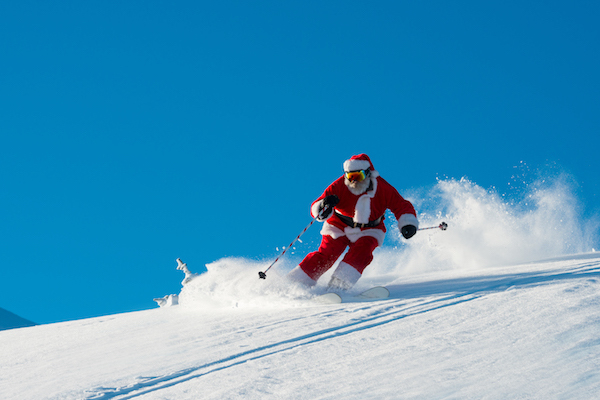 During the holiday season, there are endless events and activities at Copper. Whether it's a visit with Santa Claus, Fireworks, Skiing/Snowboarding, the new Alpine Coaster, or Torchlight Parades, you don't want to miss out! Christmas and New Year’s is a special time of year at Copper. Wake up early for some fresh groomers or hopefully some sweet powder runs, then stop by one of the many restaurants or bars for some hot apple cider and good holiday grub. After that, get back out and hit the slopes for some more World Class mountain riding or try out the new Alpine Coaster for a different type of excitement. Later that night, bring the kids over to the Burning Stones Plaza and watch the fireworks and torchlight parade followed by Santa Claus coming down the mountain in his sleigh (or snow cat). Copper Village is full of Christmas spirit. Keep an eye out for updated information on Copper Mountains exciting Holiday activities and events.